Through this Bulletin we want to highlight our website and encourage you to make more use of it. The new version, already a year online, has developed the communication in the Institute a great deal, though we run the risk of always showing the same situations, failing in our mission to give space to all the missions carried out by our brothers. We wish to be totally impartial and as a consequence we are inviting all to participate in the life of this website. A team of correspondents exists, but we would like to invite each one to be part of this. 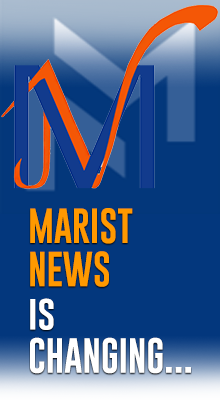 The site was launched by the last Chapter in 2001 and contained its news and the Marist Bulletin that today has 3,400 subscribers. At the end of the Chapter we felt the need for a webpage that could present the global reality of the Institute and be a means of making Marist works better known throughout the world. Thanks to intensive work by the Institutes Department of Communication, the site was launched to mark the recent anniversary on the 18th April 2004 of Marcellins canonisation. Now, each day, about 800 people visit the site. 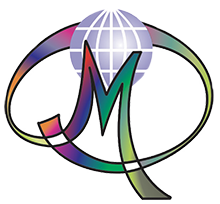 Our website has two sections: one section that is open to all and another that is reserved for Marist Brothers only. Further on, the two tables of contents of these sections will be summarised. We believe that the open section is well known but the reserved area is less known. In practice, the reserved area is a different site in champagnat.org. It is an area dedicated to brothers or members of certain Commissions. They can access it after having registered online. All that needs to be done is to click on the entry link to the reserved area towards the top of every page of champagnat.org., then fill in the form. A few days later, after having checked your information, the website administration will grant you access to the reserved area. When you first subscribe, you must choose a password that will be your key to access the reserved area; it must be typed with your e-mail address each time that you wish to visit this part of the site. The reserved area has two objectives: to provide information of a more private nature, such as statistics, addresses of every house in the Institute, the archives of Update, etc. as well as serving as a meeting place for brothers. It includes, however, material that arrives from wherever the brothers are working in the world. Material can be sent so as to appear in either the open section or the reserved area. The most dynamic part is the section in which The Latest News is published. This is refreshed every two days. All can contribute to this section. After some reflection, we decide here whether it will be published in this section or placed under the title From the world. 1. Between 1500 and 2000 characters. 2. A photograph needs to be included with the news item. 3. The contents must be of general interest, avoiding any form of propaganda or self-promotion. In Publications we have a section called Publications received. If someone sends us a book, we place information about its subject in this area, especially if it relates to the Marist world. You need to send some information about the book and, if possible, a photo of the books front cover. We use several places for photos. Each week, five photos of the Marist world (one per continent) appear on the front page. We also have a section dedicated to albums (at least 10 photos). As well, we also have in the section of the Religious Life Commission, a space for photos that have come from houses of formation. The photos can be of any format, but our preference is of a definition of at least 600 x 400 px. If you wish people to have direct contact with you, you can add your e-mail address and other information to our list. Currently, nearly 400 brothers have already registered their details. 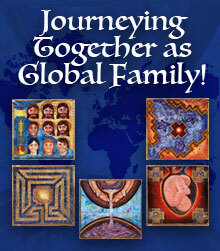 We have a series of links to the Marist world. This list can be enriched through recommendations of other sites. Each day, one of these sites appears on the home page as a site for the day. You should also let us know of any changes of address for these sites. People can participate here in a number of ways. This part of the site is dynamic and can receive a lot of material: that concerns a personal experience or suggestions about books or links to other sites for young people. People can also participate in a forum. Our bulletin is usually sent on Thursdays to an e-mail list that includes around 3,300 addresses. The topics of the bulletins vary as much as possible, from a speech given by the Superior General to some news of general interest. Many bulletins take the form of interviews with brothers in which they speak about their mission. We are happy to receive your suggestions about an interview or to respond to your wish to be interviewed. Small news items in their original language are placed in this section. This is the section where you can find bulletins and other news from the different Provinces of the Institute. This is the place where you can find suggestions about interesting books, things to help in ministry and education, community prayers and articles for reflection. There are two spaces where you can write, one for notices and one for discussions. Your contributions appear immediately on the website. The list of the brothers e-mail addresses can be edited online. You can change your information after you have registered it. A heart that knows no bounds: we would like this to be the motto of our site, but also your own motto. So much richness exists in each person (brother or layperson), in the communities and in the works spread throughout the entire world. We do not possess this richness just for ourselves. So share your richness with everyone. In a world where there is so much pessimistic news, we are committing ourselves to offer a means of spreading joy, peace, action, solidarity… If it is true that a falling tree makes more noise than a growing forest, lets ensure, through the commitment and participation of all, that our site does not kill trees but helps them to grow in all simplicity thanks to your contribution. www.champagnat.org has completed its first year of operation. We have done a great deal of work, but we want to work for you. For this we need to hear your opinions. We invite you to complete an online questionnaire (click here).